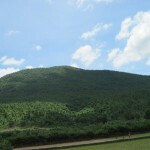 Places to see in Biharinath: The prime attraction of Biharinath is the lush nature all around and Biharinath Hill. The unforgettable experience of watching the rising and setting sun over Ledhi and Sharpahari Hills and the winding village paths would compel you to extend your stay. 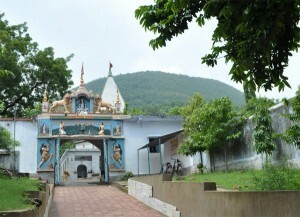 Another popular attraction here is temple dedicated to Shiva, popularly known as the Biharinath dham and a small tank located at the foothill. Nearby attractions in Biharinath: Just a walk from Bihari Nath would lead you to the Ureshwari Temple located to the West of the Biharinath Hill. The Binodpur Dam and Joychandi Hill (where Satyajit Ray’s Hirak Rajar Deshey was shot) is also located nearby. Boranti Lake is located just 15 kms from Biharinath. 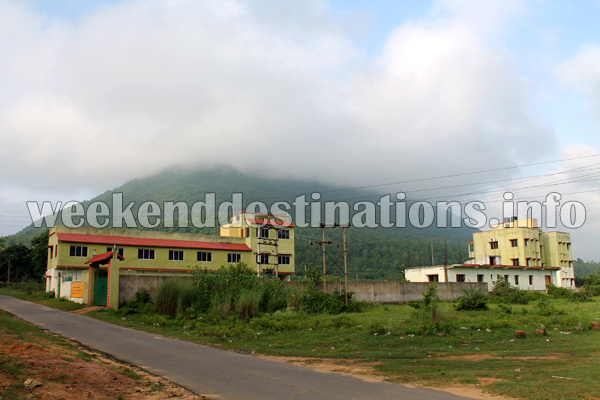 Other attractions that can be covered within a couple of hour’s journey are Maithon, Panchet, Shaltora and Sushunia. Bihari Nath is just 66 kms from Durgapur. Boranti is also nearby, just 15 kms. 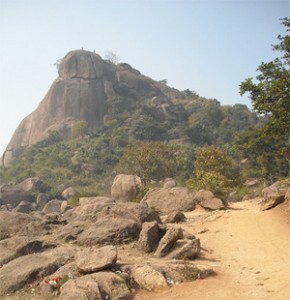 Things to do in Biharinath: Tourists with an appetite for adventure will have a great time here. Bihari Nath hill is ideal for trekking and you can scale the hilltop in just one and half to two hours. You can also explore the region, which boasts of an exotic range of flora and fauna. You can also enjoy boating at the lake located nearby the Biharinath temple. 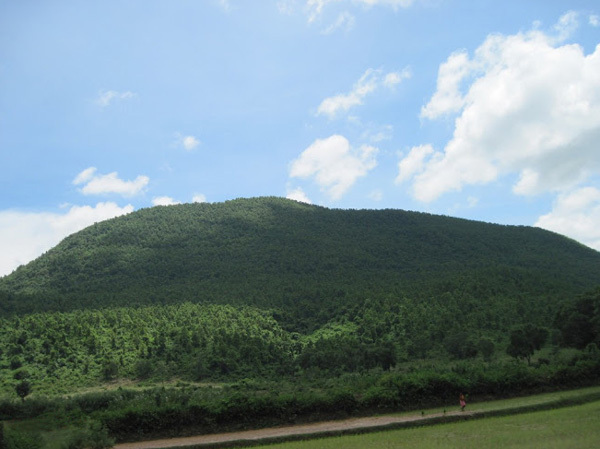 Enjoy a nature walk along the scenic natural landscape. The destination also hosts also hosts a whole range of religious fairs and festivals throughout the year. Huge fairs are organized during Shivrati and Saraswati Puja. How to reach Biharinath: There are a number of options to reach Bihari Nath. You can drive along the Durgapur Expressway, bypassing Panagarh, Durgapur and Ranigang. After crossing the Damodar River Bridge, drive straight towards Madhukunda. After bypassing the Madhukunda railway crossing, go straight to Biharinath (16 kms). You can also avail trains running to Asansol. Biharinath is located at a distance of 46 km from Asansol, which you can commute by hiring a cab from the Asansol Railway Station. However, the best way to reach Biharinath is by train to Raniganj and then to Biharinath by hired car (22 kms). Best time to visit Biharinath: There is no definite time of visiting this destination, as the place attracts tourists throughout the year. However, if you are looking for a peaceful weekend gate away then try to avoid the seasons when fairs and festivals (especially Shivratri) are held. If you love palash flower then February/March should be the ideal season. Lodging and dining facilities in Biharinath: A spacious private resort with all modern facilities have recently come up at Biharinath just beside the hill. The rooms of the resort are facilitated with AC, Televisions, balconies facing the Biharinath Hill and attached western bathrooms with hot water geysers. There are standard non AC rooms as well as Super Deluxe AC rooms too. Facilities like Dining Hall, parking space, lawns, car-hiring facilities, intercom, driver’s accommodation and local guides for Hill trek are available in the resort. Food is delicious and essentially Bengali cuisine is served here. Biharinath is really good place for tourist. but need some government support for taken plan to easy communication to help the tourist for reach to destination & good lodge with fooding also require.